Statistics - meaning statistical data, statistical methods, and statistical thinking - play important and fascinating roles in public issues. Yet, these roles are sometimes unknown to statistics students and even professional statisticians. 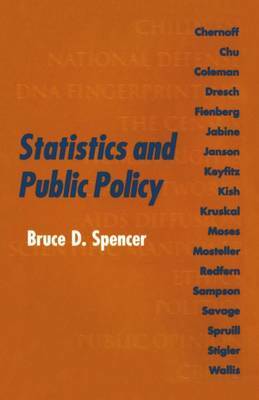 This book indicates some connections between statistics and public issues such as government policy- or decision-making, public administration, law, and public debate. This book describes examples of statistics in public policy areas as disparate as national defence, AIDS diffusion, DNA fingerprinting, human rights violations and scientific manpower among other areas. Although a small amount of statistical training is assumed-a minimum of a half year of undergraduate level statistics-the emphasis is on ideas rather than technical detail or mathematical generality. This low technical content makes it accessible to not only statisticians but social scientists as well. It will also be a useful resource for teachers of first year statistics.